Liz Ewings was born in Seattle, Washington. She returned to Seattle after living in Louisiana, Southern California, Portland, Oregon, and working summers on a small cruise ship in Southeast Alaska. She has bachelor’s degrees in Fashion Design and Oceanography, and is certified in Natural Science Illustrator and Marine Naturalist. She loves to imagine what its like to live in the ocean, and emulates the slipperiness of water in oil paintings by building up layers of sheer liquid glazes. 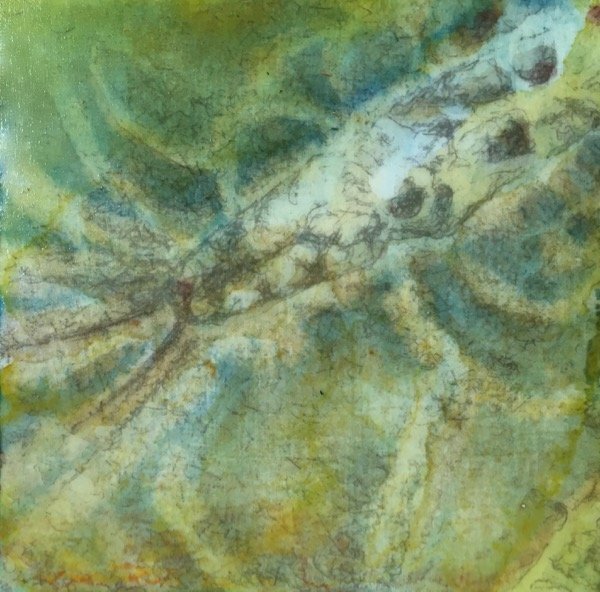 The Larval Paintings are inspired by zooplankton she collected in Puget Sound, and photographed at the UW Oceanography Lab. You can wave to their cousins from the Washington State Ferry, which happens to dock near her studio at ‘57 Biscayne.